The European Commission imposed on Wednesday 649 million euros ($860 million ) in fines against South Korean and Taiwanese makers of LCD flat screens for running a price-fixing cartel. Taiwan\'s AU Optronics, Chimei InnoLux Corporation, Chunghwa Picture Tubes and HannStar Display Corporation were hit with fines along with South Korean firm LG Display. South Korea\'s Samsung Electronics was also accused for being part of the cartel but avoided a fine for being the first to provide information on the alleged scheme. Europe\'s competition watchdog accused the firms of running a cartel between October 2001 and February 2006 that fixed prices, harming European buyers of televisions and computers equipped with the liquid crystal display component. The companies held monthly meetings to agree on price ranges and minimum prices, and trade information on future production planning, capacity utilisation, pricing and other commercial conditions, the commission said. Company officials met 60 times, mainly in hotels in Taiwan, for what they dubbed "the Crystal meetings," the regulator said. The investigation found that the companies knew they were breaking competition rules and took steps to conceal their meetings. The commission cited a document urging everybody "to take care of security/confidentiality matters and to limit written communication." 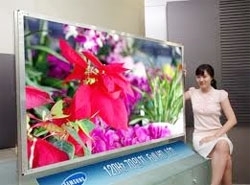 Chimei InnoLux was given the largest fine, 300 million euros, followed by 215 million euros against LG Display. AU Optronics was fined 116.8 million euros, followed by nine million euros for Chunghwa Picture Tubes and 8.1 million euros for HannStar Display. "Foreign companies, like European ones, need to understand that if they want to do business in Europe they must play fair," European competition commissioner Joaquin Almunia said in a statement. "The companies concerned knew they were breaking competition rules and took steps to conceal their illegal behaviour," he said.